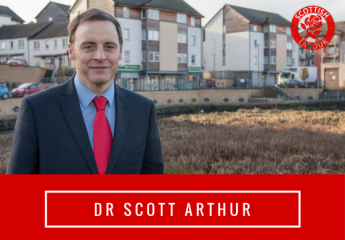 Edinburgh’s Housing Crisis – Why the SNP must stand up to the Scottish Government. SNP Councillor Kate Campbell is correct, the SNP Government did pledge to build 50,000 new homes in Scotland (Comment, 10/07/17). However, it has now watered that down and is now saying refurbishments will count for a significant proportion of the total. Will Councillor Campbell stand up to her SNP masters and demand they honour their manifesto commitment? Probably not! Councillor Kate Campbell is also correct to say that public services are suffering due to 7 years of “Tory Austerity”. What she does not mention is the SNP’s complete failure to use its revenue raising powers to help protect the most vulnerable in Scotland. Furthermore, the plight of many vulnerable people in Edinburgh is being exacerbated by the SNP’s failure to deliver their pledge of scrapping the “hated” Council Tax. Will Councillor Campbell stand up to her SNP masters and demand they do more? Probably not! Councillor Kate Campbell is absolutely correct that the creation of Rent Pressure Zones will help many in Edinburgh. Shelter Scotland, Crisis, the Greens and Scottish Labour deserve great credit for lobbying the SNP to give Local Authorities this power. However, the SNP voted against a Labour amendment in Holyrood which sought to ensure rented properties are “warm, secure and safe”. Indeed, SNP MPs in Westminster abstained on a Labour amendment which sought to ensure rented accommodation is “fit for human habitation” – a decision which has come under increased scrutiny since the Grenfell Tower disaster. Will Kate Campbell stand up to her SNP masters and condemn these actions? Probably not! In conclusion, if Edinburgh’s SNP led administration is serious about dealing with our Capital’s housing crisis it has a duty to ensure the Scottish Government uses all the substantial powers at its disposal to do so. Will Councillor Campbell put Edinburgh first and make that argument? ← The weeds are growing under our feet.